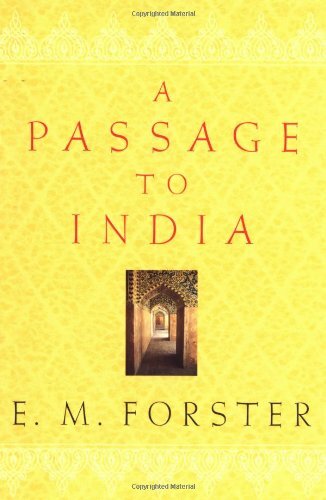 In a world far removed from the one in which Forster was writing, is there any place for a novel like A Passage to India other than as an idle curiosity of a bygone era? Written based on first hand experience of the British Raj, this open critique of colonialism caricatures the Anglo-Indian in his element, questioning the morality and justification of the British presence in the subcontinent. A Passage to India is built upon its characters, who are the led through a fairly mundane plot, a jejune stage for the actors to perform upon. Yet through their actions, we discover this world of Empire, where Anglo-Indians hold themselves aloof from the population, where relationships are grounded on the basis of ruler and ruled. Forster challenges the British Raj as it was then. But he also poses questions relevant to our everyday lives: can the cultures of East and West ever truly understand one another? is it possible even for two individuals to truly understand one another? can anything good ever come from a relationship in which one party dominates the other? and what can we really understand about ‘identity’ through the prism of nationhood? There is no doubt much in this book which can be analysed and overanalysed to the nauseating degree that only a literature class can provoke, and I can imagine that many who studied this novel in a classroom environment learned only to hate it. Where the simplicity of the plot provides only a thread for the characters to follow, the imagery of India’s weather and terrain, her townships and cultural diversity, combine to provide symbolic tapestry lending itself to interpretation. Alone the echoes of the Marabar caves and its allegory in the evil of Empire doubtless provide enough discussion for a few hours of lessons. Yet there is no need to take a magnifying glass to this book to see its implications. Similarly, there has been plenty of criticism about using a work by an English author and mere traveller to the subcontinent as a lens through which to view the British Raj and colonialism in general. Whilst this may be for true scholarship a half-way justifiable charge, it retains its relevance as a novel and for providing insights into the British mindset of the time. Finally, a quick comment about the style. Some other reviewers have complained that the book hasn’t aged particularly well, and that the writing gets a bit muddled in conversation. On the former point, it would seem fair criticism, in as far as that this book clearly has more in common with books written in the half century prior to its publication than after it. That doesn’t make the book’s style particularly less readable today, but the content might need some occasional explanation. Despite his modest assertion that he was ‘not a great novelist’, A Passage to India lives up to its reputation as one of the more important works related to British colonialism. Alone for its historical portrayal, the book is worth a read, but the questions posed (and the answers Forster subtly implies) with regard to issues of cultural identity, acceptance and understanding, are still as relevant today as they were at the height of the Raj.